Traditional barrel cleaning products may have a pleasant smell, but are not totally effective for cleaning a firearm. Loss of accuracy is normal in all firearms after they have been used in a prolonged shooting session. The barrel will become fouled with powder residue as a result of combustion. Additionally two other materials are deposited internally to the barrel: carbon and metal fouling from bullet material. These two are the most difficult to remove and are the greatest cause for the loss of accuracy in a firearm. The standard practice has been to dunk a brush into a cleaner and stroke the cleaning rod the length of the bore. A good deal of the evidence of fouling removal comes from the bristles in the brush itself, (copper or bronze.) A more recent approach has been to product products with heavy amounts of acid and ammonia. While acid and ammonia will remove metal fouling and carbon they are dangerous to you and your firearm. Products containing large amounts of acids and ammonia still require large amounts of brushing. The major problem also is a horrible smell, and they can be very dangerous to the steel used in gun barrels and quite harmful to you and your skin. 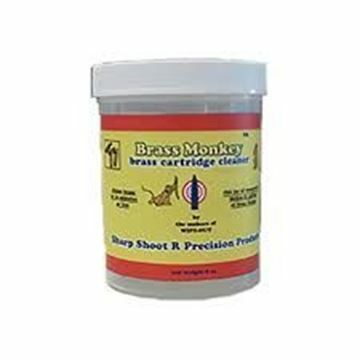 There are many sad shooters who have pitted a barrel using cleaners of this type. It is quite easy using these products to permanently damage the interior of the barrel with pitting. We offer 6 non-abrasive chemical cleaners that help to prevent and solve the problems encountered with conventional bore cleaners in all types of firearms. They specifically do not harm Stainless Steel. 1) WIPE-OUT – A foaming compound in a pressure can. ( A flexible nozzle cap is available for application at the breech) (PLEASE NOTE: WIPE-OUT FOAM CANNOT BE POSTED AS IT IS FLAMMABLE). 4) CARB-OUT – A liquid that specifically removes carbon fouling. 5) TACTICAL ADVANTAGE – A liquid that performs an almost identical role to WIPE-OUT but with ingredients specifically designed for cleaning Muzzle Brakes, Moderators and Gas Port Ways. It contains a carbon remover. 6) NO-LEAD – A liquid that specifically removes lead fouling.